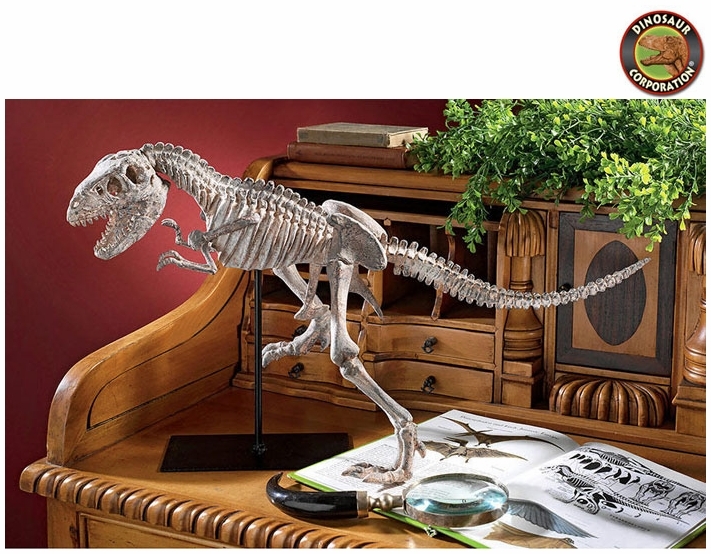 Home | MODELS, KITS | T-REX REPLICAS | Scaled Tyrannosaurus rex Skeleton Dinosaur Fossil Replica 24"
Scaled Tyrannosaurus rex Skeleton Dinosaur Fossil Replica 24"
Museum quality T-rex skeleton fossil replica. This cretaceous dinosaur T-rex is cast in quality designer resin with a distressed fossil finish before being set atop a metal stand as a wonderful collectible animal and a smart display piece! Don't wait until this dinosaur gift is extinct!